The FT Spitfire is the 10th design in the swappable series and the first of which that is a warbird. This is the perfect gateway into scale-like flying and is also a good introduction into four channel flying. This plane is great for beginners and or experienced pilots who are looking for scale lines without the unforgiving flight characteristics of most scale warbirds. This was achieved by taking the wing of the FT Cruiser and heavily modifying it with the unmistakable elliptical Spitfire wing shape, increasing the size of the under cambered wing tips and adding dihedral. The result is a very forgiving scale warbird that flies just as good as it looks. 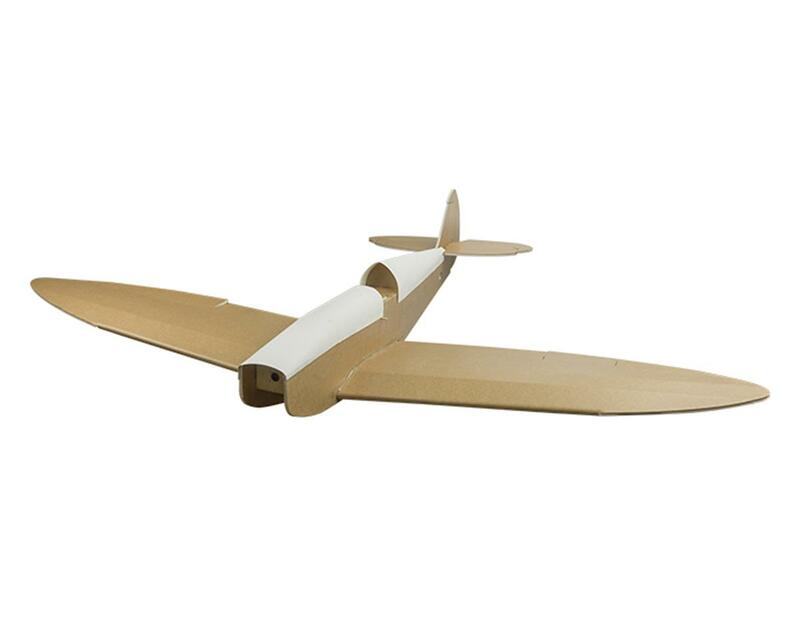 The FT Spitfire is the greatest foamy airplane, and RC airplane in general. if you like these following things, this is %100 your airplane: agility, slow stalls, aerobatics, yet also a range of slow speed, dosile flight, and if you are a beginner, as long as you put enough expo, this is a great beginner plane. i have had four spitfires in my RC flying career, and they have been the most fun planes i have ever owned, even over store-bought Horizon Hobby aircraft. I highly recommend that you purchase this airplane if you want to have lots of fun with combats and streamer cut competitions. Overall, i guarantee that you will love this airplane, it just refuses to die. the ft spitfire is one of the best airplanes I have ever flown. I purchased the speed build kit looking for an aerobatic, yet relaxing semi-scale park flyer, and it fits that description perfectly. the build is fairly simple, taking about 3-6 hours in total (depending on builder speed, some may build faster or slower) and my only gripe with the airplane is I believe my kit came with posterboard cut on the wrong grain, as it was incredibly difficult to bend. an easy fix, however, was to take a piece of posterboard and trace the turtleneck pieces out. The Spitfire has long been an iconic war plane, with great looks and presence in the air. This model stays true to the original, providing a huge fight envelope, great stability, and love that wing profile looking up. This plane is very solid and I can recommend to beginners and experienced pilots alike. If you like speed also, this is the ticket- flying a 3520 power plant with 10x6 prop, this is a rocket!